Mary Berry and Paul Hollywood were back on our screens in December, taking the mickey out of one another and showing the Great British public how to bake some classic Christmas recipes. 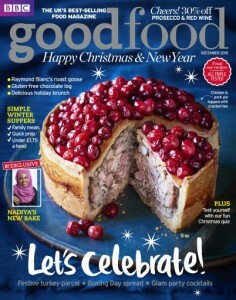 The programme is full of Christmas cheer and packed with tips and tricks. Mary opened the show with her Christmas Wreath Pavlova – a classic pavlova recipe (meringue) topped with chantilly cream and fresh fruit. A spectacular centrepiece and alternative Christmas dessert which can be made ahead of time. Next, Paul made a tear-and-share Chelsea Bun Christmas Tree. He showed us how to make the dough and the delicious looking filling made with an apple, a pear, a jar of mincemeat and a few other added ingredients. Once he filled, rolled and cut the buns, they were left to prove and then baked. Half an hour later, a brush of glaze, a blob of orange icing and some glace cherries and pistachios scattered around and the ‘tree’ was complete! Next came Mary’s Christmas Trifle. A word of warning that if you are making this one, the dried fruits need to be simmered for 40 minutes and then left to steep for at least 4 hours, or ideally overnight… This is not a trifle recipe to be made at the last minute! They made their custard from scratch and, of course, there were plenty of references to Mary’s drinking habits! Back to Paul for a way of using leftover turkey and ham: Paul’s Turkey, Ham and Leek Pie. Using a base of chopped leeks sauteed in butter and sherry; chicken stock, mustard, cream and fresh tarragon are added to pack a punch of flavour…Don’t forget to season it though, Paul! Cubes of cooked ham and turkey are added to the pie dish and – once cooled – it is topped with rough puff pastry. More tips and tricks as the pastry is cut out and decorated before being brushed with egg to help with the finished appearance (colour and shine). Another sweet course with Mary’s Rosace à l’orange, an impressive looking dessert made with crème Légère, Genoise sponge and topped with orange slices to resemble a stained glass window, apparently. Finally, Paul makes an impressive Christmas centrepiece…a pandoro. This is an alternative Italian Christmas cake to the panettone. It is made with a leavened dough, looks delicious and as Mary says, it’s a marriage between brioche and madeira cake. The whole programme can be seen on BBC iPlayer and is available to watch until January 20th 2016. All the recipes can be found on the BBC Great British Bake Off website. 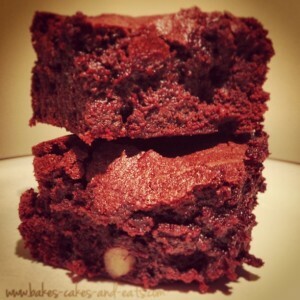 ← New look website for Bakes, Cakes and Eats!